To read and print this piece as a broadside, drag the image to your desktop. Or scroll down to read a little more about the poem and then find it in plain text. 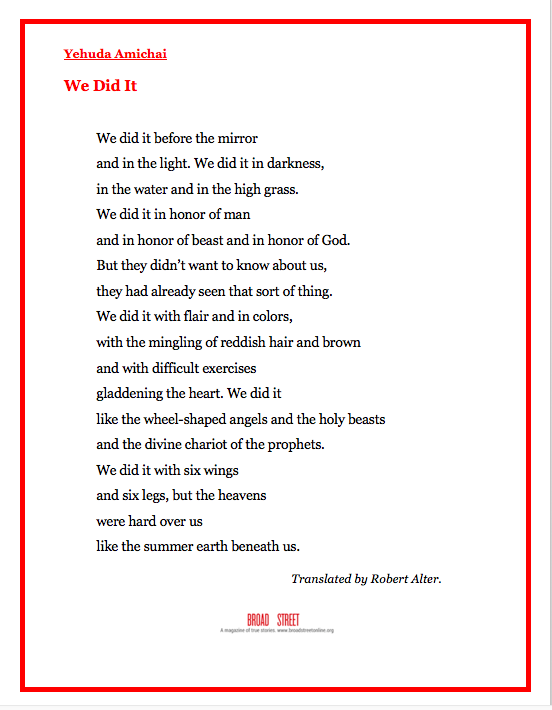 Yehuda Amichai’s poem “We Did It” is among his best known and most celebrated; it inspired Stuart Dybek’s much-anthologized story “We Didn’t.” In Broad Street’s debut issue, Robert Alter, the renowned scholar and translator of Hebrew literature (including several books of the Bible), presented nine new translations and an introduction explaining how he worked to sharpen the language and hew more closely to Amichai’s meaning. For fun, compare Alter’s previously unpublished version below to this earlier version—particularly the closing lines. 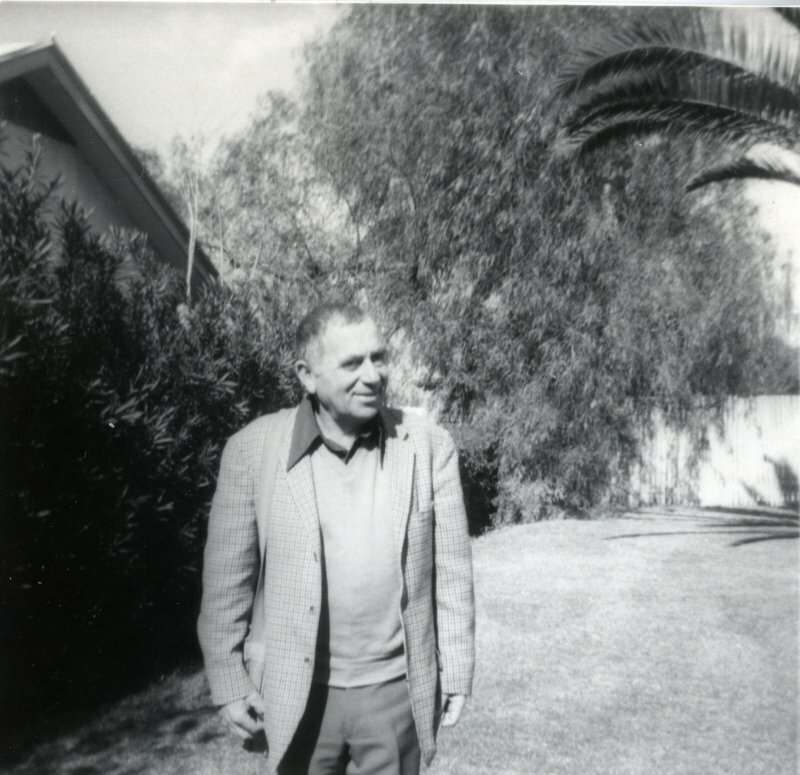 By Yehuda Amichai, translated by Robert Alter. Previous postContributor News: Robert Alter's translation of the Hebrew Bible is now complete. Next post“A Special Spirit”: Angeles Gonzalez reproduces Charles Rennie Mackintosh’s work in miniature.